Both Buffalo General Medical Center and the Gates Vascular Institute offer valet parking. This is the most convenient way to park. If you choose to self-park, there is a surface lot on the corner of High and Ellicott Streets, a parking ramp on the corner of Goodrich and Ellicott Streets, and on-street parking. There is a fee charged for each of these options. A BNMC Courtesy Shuttle continually drives around the campus to pick up visitors wishing for a ride to the hospital. To contact the shuttle simply call (716) 818-5685 or you may request Security to contact the driver for you. But if you see the shuttle, simply wave it down and its driver will bring you to your desired entrance. DeGraff Memorial Hospital offers free self-parking in the front of the hospital. Millard Fillmore Suburban Hospital offers valet parking for a fee. 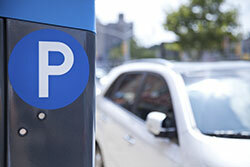 Self-parking is also available in the front and rear of the hospital at no charge. Oishei Children's Hospital provides valet parking at its 818 Ellicott St. entrance for a fee. Another convenient parking option for patients and visitors is the 854 Ellicott St. ramp located directly next door to the hospital at the corner of Ellicott and Goodrich. The 4th level of the ramp connects directly to the 2nd floor of Oishei Children's Hospital. Additionally, there's ample street and surface lot parking on and around the Buffalo Niagara Medical Campus.